We often talk a lot about the engineering ingenuity, expertise and brilliance of our railways, but perhaps not as much as we should for equally incredible feats from the heritage railway sector. Preserved railways are far from the cottage industries that many started as and when I consider the level of skill and aptitude displayed by the modern volunteers, I can’t help but be amazed. That’s not to say that the more traditional skills and hard graft are lost, far from it. However they are supplemented by modern techniques. 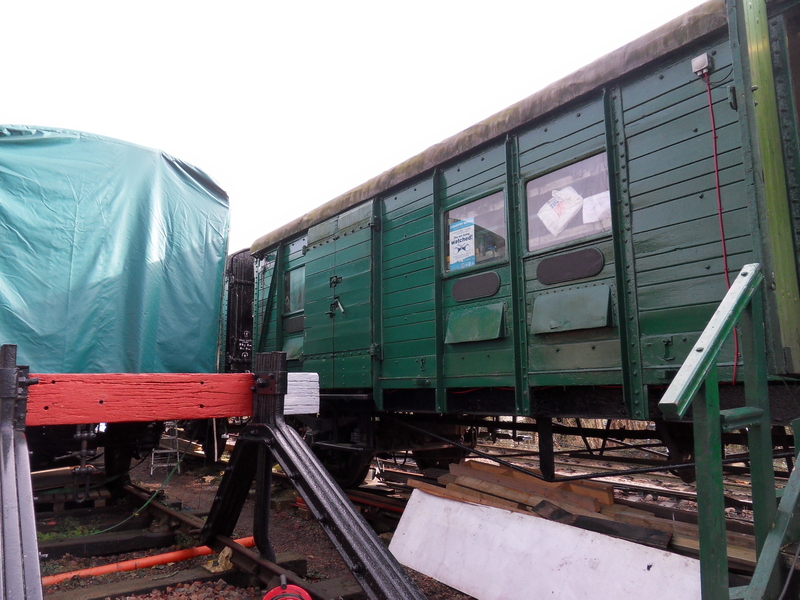 During a tour of the Watercress Line’s wagon department at the recent gala, one of the ongoing projects was the construction of a new cattle truck – a perfect example. It’s reconstruction started life through the use of Computer Aided Design (CAD.) I remember the time that CAD was a new and incredibly complex art reserved for multi-million pound projects (such as fighter jets or global car manufacturers) and although more common these days, it still illustrates a level of skill that one might not expect from such a project. There were a couple of notable items that caught my eye. 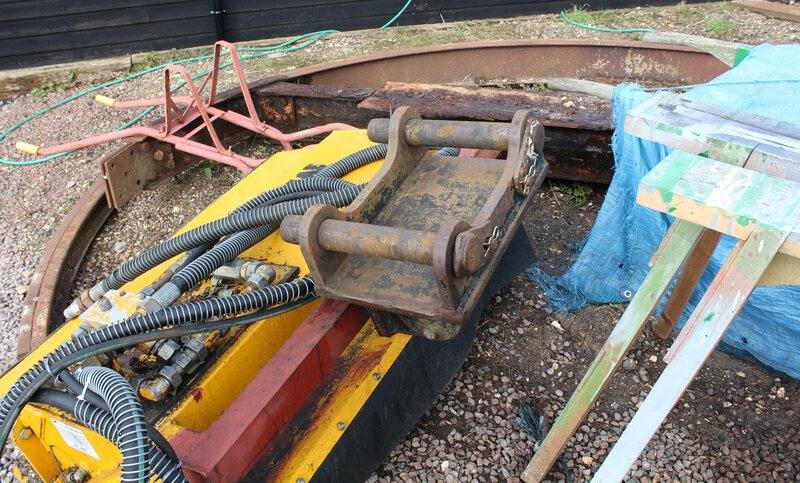 The first was the remains of a wagon turntable (above) that is a long term project. Even more exciting is the group’s intention to rebuilt Medstead’s goods siding. This will allow demonstrations of how products were loaded and unloaded. The picture below shows the work to-date – note the crane base. 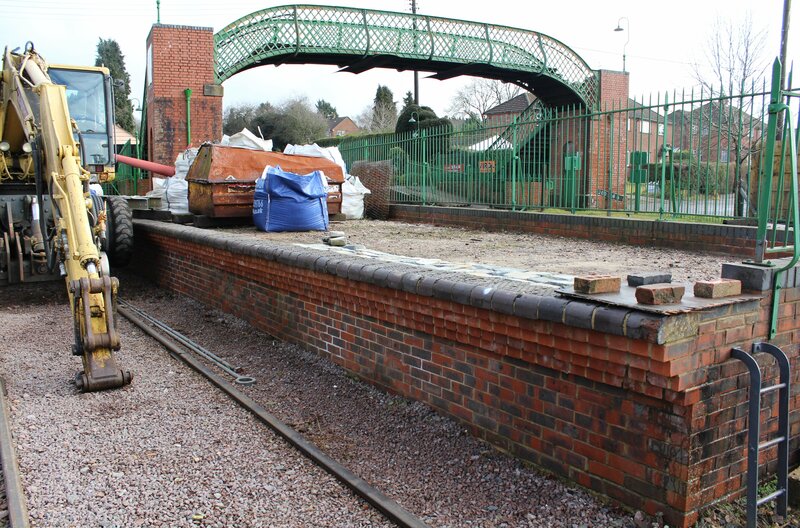 This new goods demonstration platform at Medstead and Four Marks coupled with the cattle truck to be used at Alresford cattle dock will really bring to life how freight used to be transported. The wagon group tour also included a glimpse at class 27 2007. 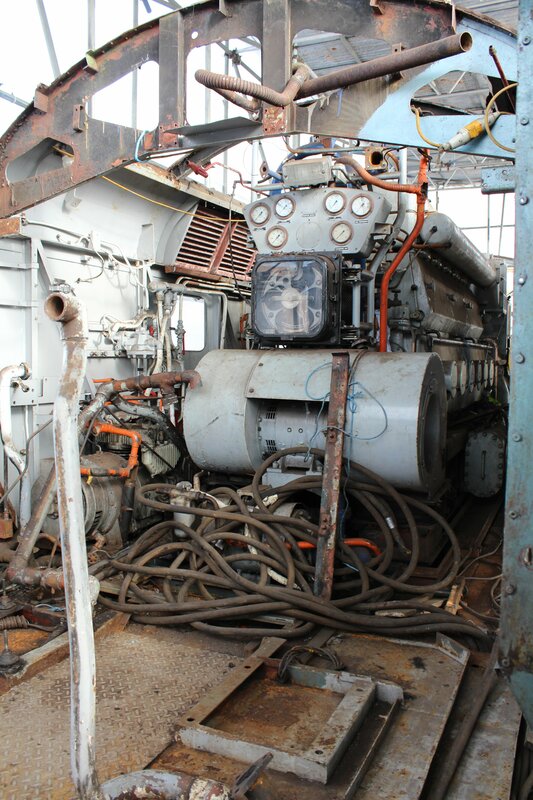 As can be seen from the picture above, the internal workings of this locomotive were reasonable, but the outside body clearly needs a lot of work! 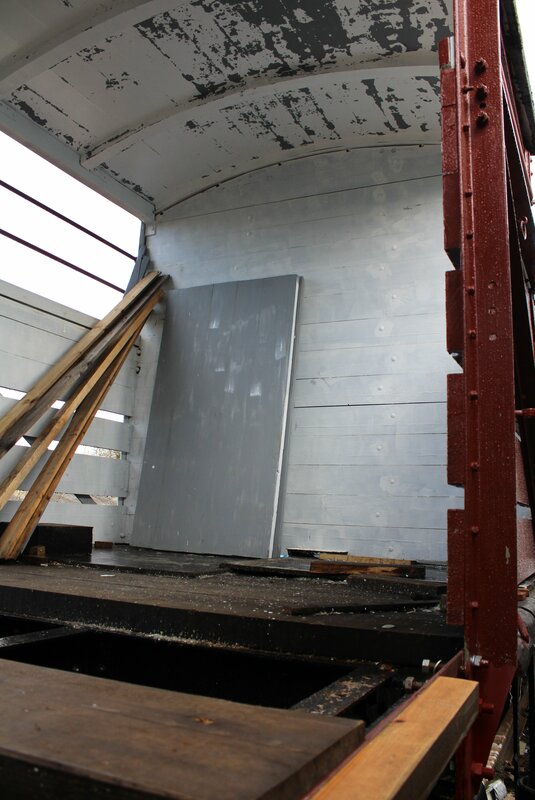 Moving on to Ropley, the new observation deck in the carriage shed was open. There was some interesting interpretation boards detailing the recent cosmetic restoration of Battle of Britain class 34051 Sir Winston Churchill. 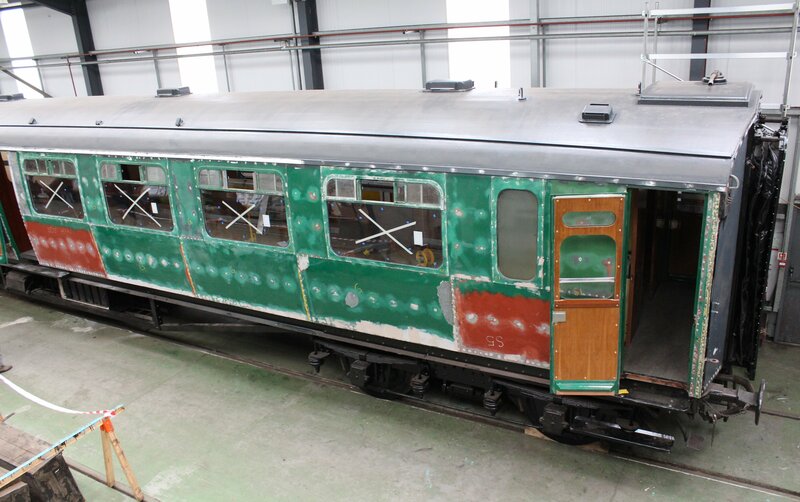 The view was of two Bulleid carriages being restored (see picture above.) These vehicles will add variety to the regular BR Mark One’s used for most services. 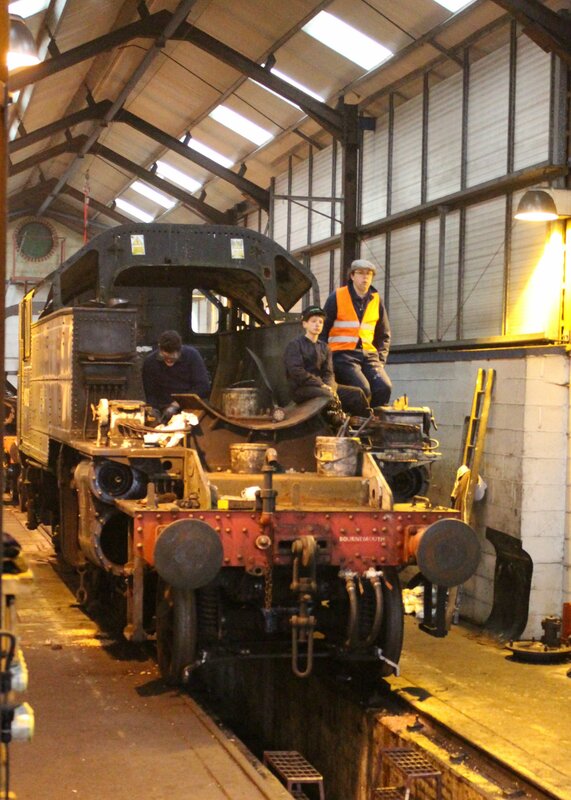 At almost every turn there was an S15 class in restoration or overhaul! 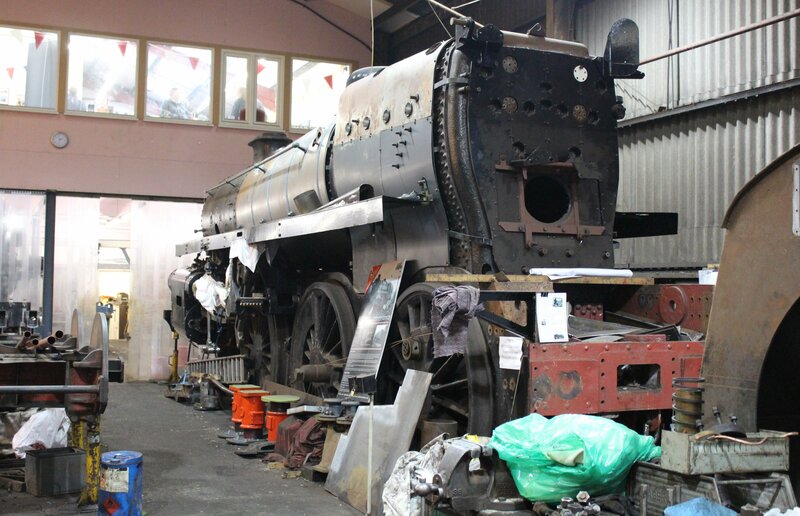 30499 and 30506 are owned and being worked on by the Urie Locomotive Society and 30828 by the Eastleigh Railway Preservation Society. Interestingly 30499 is planned to be returned to service in LSWR colours, 30506 in BR black whilst 30828 in Southern olive green. This will provide much variation to please most tastes! 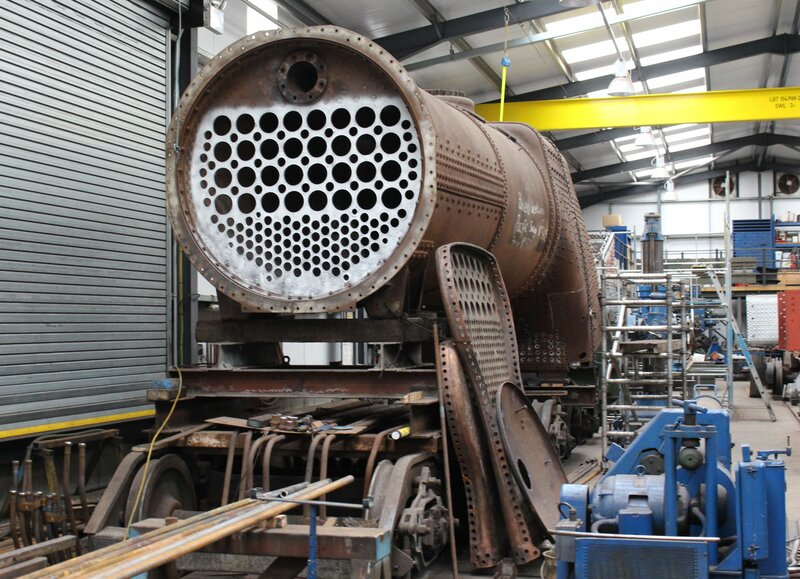 With the recent return to service of its close relative 75078 on the Keighley and Worth Valley Railway, the restoration of 75079 (above) continues to progress. This BR Standard 4MT 4-6-0 lost its tender and so a new one is to be built. 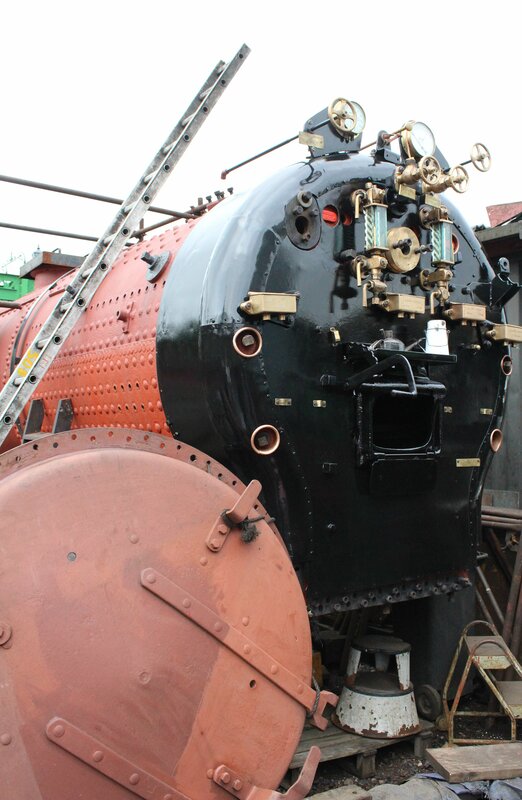 Finally in this blog post we have the overhaul of Ivatt 2MT 2-6-2T 41312 (pictured above.) This locomotive will be useful for lighter off-peak services, plus running Ropley to Alresford shuttle services in special events. As you can see, there’s plenty going on at the Watercress Line. If you would like to become involved as a volunteer on any of these projects, you can contact the railway on the Mid Hants Website.